A concierge who “devoted his life” to helping his tenants at a luxury New York high-rise has been fired for – quote – being too nice. The tenants are reportedly rallying behind Ralph Body and have signed a petition to get the dream doorman reinstated. The 41-year-old had been a concierge at the famous Queens Tower 27 ever since it opened two years ago. According to the New York Post, he always tried to make people feel pampered and responded to their every request, many of which strayed outside the responsibilities outlined in his job spec. It included everything from helping tenants with bags to taking care of their pets, even showing apartments to new tenants. “Everything I did, somebody asked me to do, or there was a need for it,” Body told The New York Post. 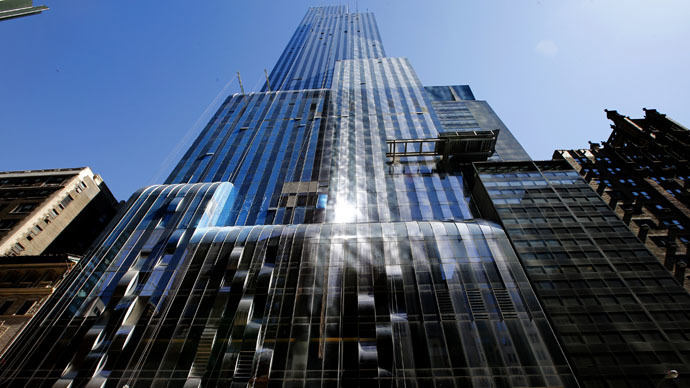 But even for an extravagant glass tower with $4,200 a month apartments, complete with a yoga room, gym and movie facilities, too much of a good thing can sometimes apparently not be enough. “Most tenants . . . can attest to Ralph’s kindness and eagerness to make people feel safe and welcome. In a transient city, where most people are from other states and countries, 27 on 27th was a unique building that truly felt like ‘home’ from the moment you stepped through the front doors,” the text reads, according to the Post. Body even stayed on the premises after working hours, which reportedly also contributed to the decision to fire him. The resident behind the above phrase also started the petition, but asked for his name to be off the record, according to the Post, fearful that Heatherwood Communities, who manages the building, could seek reprisals. Apparently, the online petition – which collected more than 100 out of the target 250 signatures by the time of the story's publication – was not the first. Allegedly, there was a paper petition that vanished from the downstairs lobby. “I would definitely have to think twice about my [lease] renewal now,” the author of the petition told the newspaper. But residents aren’t convinced Heatherwood is being 100 percent honest on this one. “Heatherwood wants impartial professionalism… “I don’t want to live in an environment like that — where there are robots at the front desk,” Dr. Michael Dardano said.